Bus-lès-Artois is a village and commune two miles east of Louvencourt, on the main Doullens-Albert road. 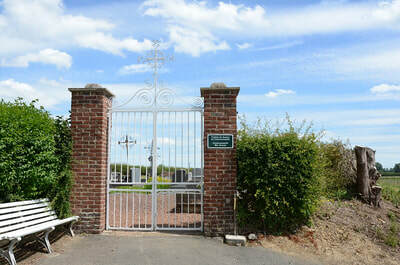 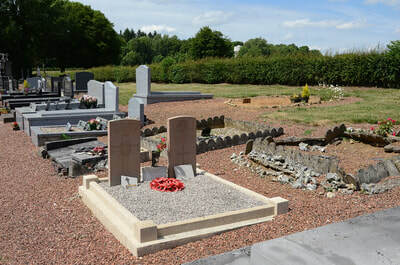 The Communal Cemetery is on the road to Bayencourt, north-east of the village. 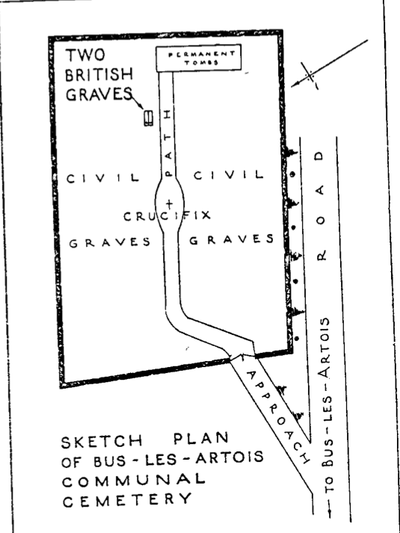 The Commonwealth graves are on the left of the path, beyond the Crucifix. 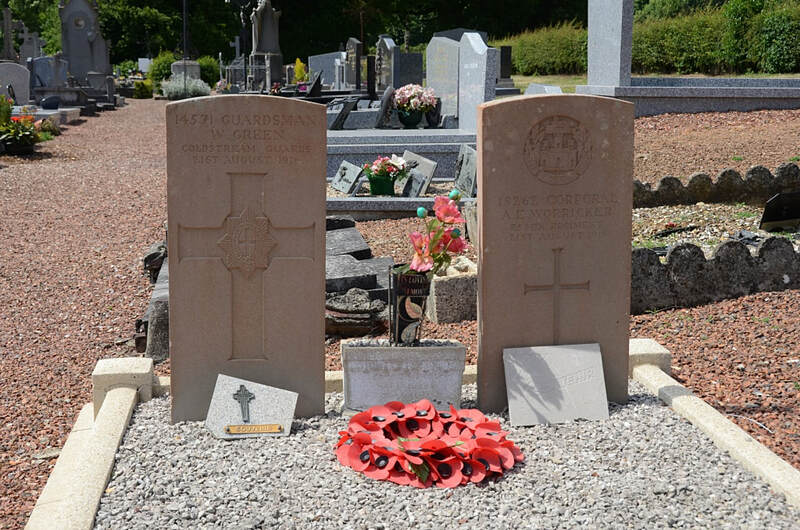 The cemetery contains two Commonwealth burials of the First World War, made by the 2nd Guards Brigade in August 1916. 14571 Private W. Green, 1st Bn. 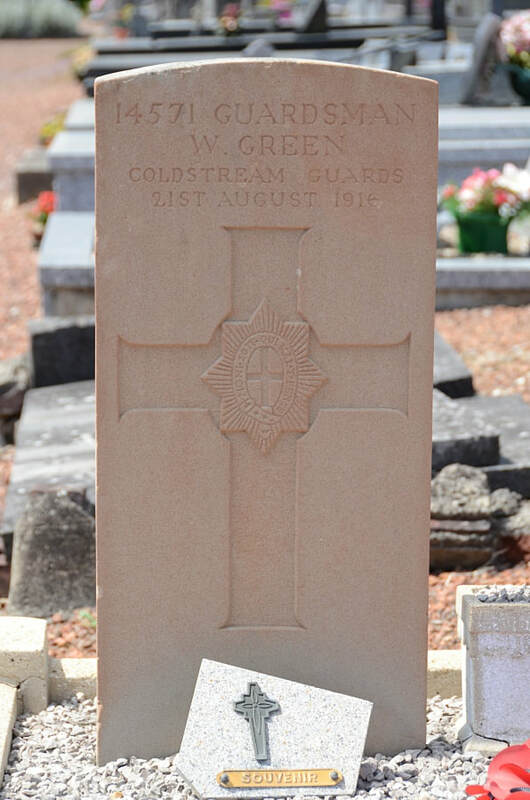 (M. G. Company, 2nd Guards Brigade) Grenadier Guards, died 21st August 1916. 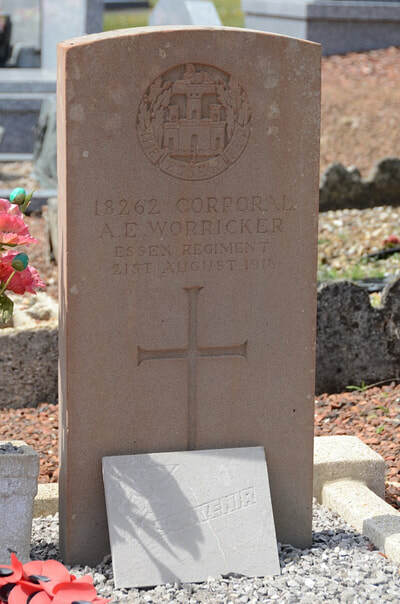 18262 Corporal A. E. Worricker, 13th Bn. Essex Regiment, died 21st August 1916.